Check out this Interactive Flip book to be used for a book report. May be used with any novel! 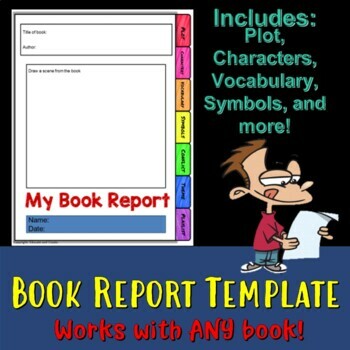 Great for independent reading projects or summer projects. Students explore elements of plot, characters, symbols, vocabulary, conflict, theme, and are asked to make a playlist at the end. Comes complete with Rubric. Your students finish assignments at different times. 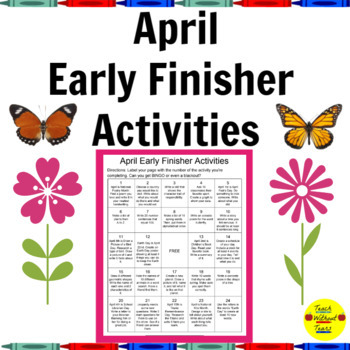 Keep your early finishers engaged with these April Early Finisher Activities. Your students will love choosing an activity, and you'll love not being interrupted when you're working with other students. Happy Mother's Day! This PreK-1 resource includes a simple paragraph for students to complete about the significant female in their lives. There is a blank frame for students to draw or glue a picture of their special person. 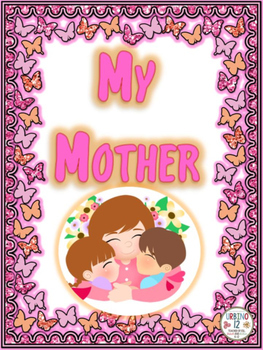 Also includes an acrostic poem, blank greeting card, poem and coloring pages with messages of love for Mother's Day. 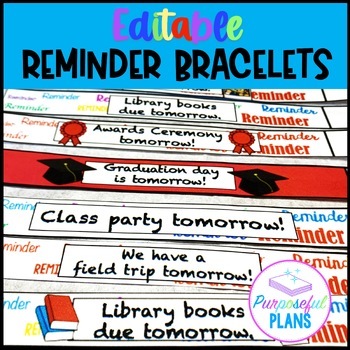 There are 58 reminder bracelets included in this EDITABLE Reminder set in both an ink friendly and a color version. You can use them throughout the school year to reminder students and parents of upcoming events and notices. Since these are editable, you can put dates on them and use them as quick notes. Reminder bands are easy to prepare and will save on paper too! Are you looking for games to build Spring vocabulary? These Vocabulary Building "I have / Who has Games" provide opportunities for children to practice identifying and naming items that can be found, and activities that people do, in the SPRING. 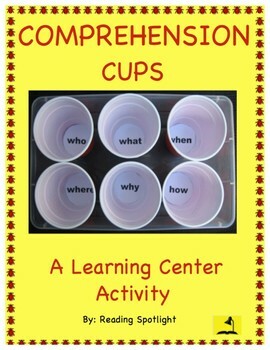 Great for PreK, Kindergarten, Grade One and ESL classes!